&#9989Is rich in natural ingredients, organic extracts and naturally raw minerals which enhance your skins elasticity while nourishing it in full. 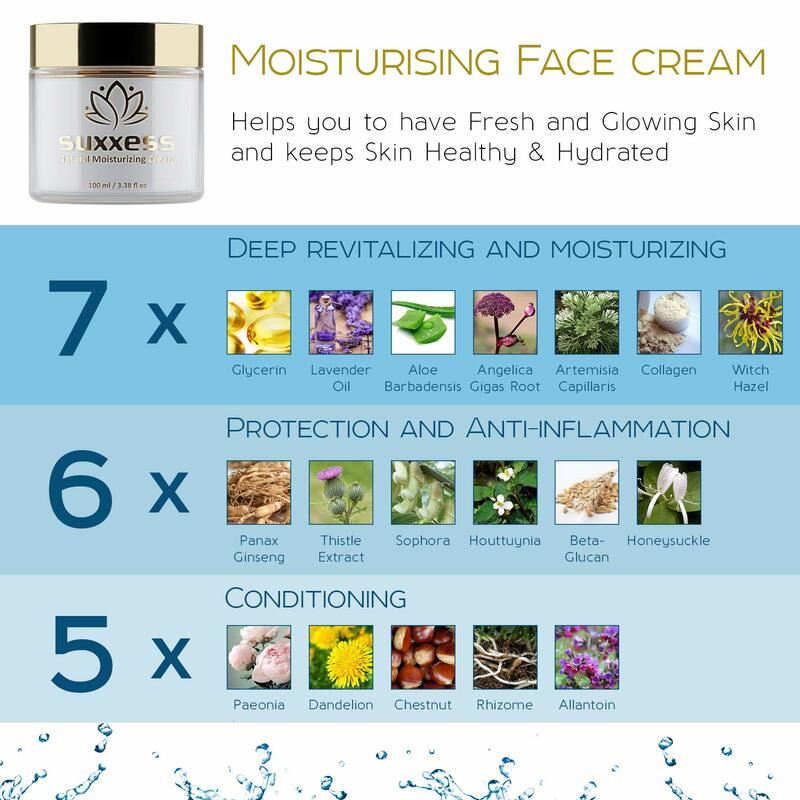 Its effects are not only moisturizing and soothing but also healing and scar reducing while being age defying. &#9989The vitamins in our product protect your skin from the natural and environmental triggers and toxins. Is FRAGRANCE free. &#9989Repairs damaged skin cells while stimulating new cell growth restoring skin’s natural PH balance. Results are visible after the first use. The product is cruelty free and NOT tested on animals. It’s gentle and soothing to most skin types. SUXXESS is a brand inspired by the natural beauty trends. One of the latest trends in the global skin care and cosmetics market – is the success and boom of Korean beauty care products. Though, the west had always been dominating the beauty industry, the Korean market emerged on top with its highest gross earnings in the beauty care industry by 2018. As the success rate of Korean skin care continues to excel in the markets, we bring you the best quality products made in Korea. 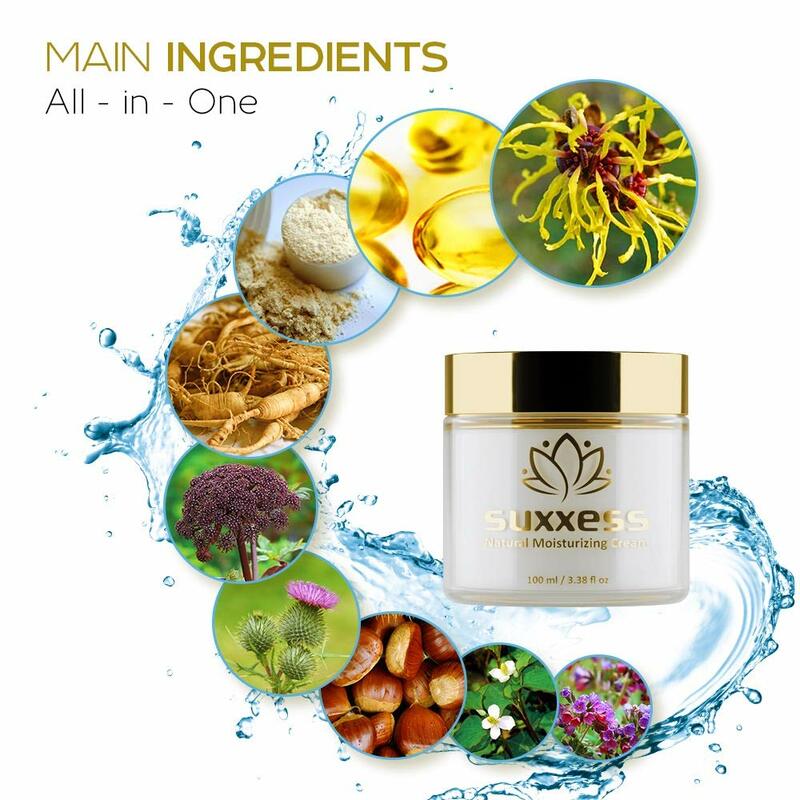 SUXXESS products mostly consist of the natural and organic products, It is the main benefit for the skin care products we have. It helps you to protect and save your youthful age appearance by preventing fine lines and wrinkles overall. The SUXXESS natural composition makes it reliable in its prolonged usage. It is gentle and soothing for dull or tired looking skin. If you enjoy the benefits of our products and we really hope that you do once you try them. Please consider using this product long-term for your skins protection and benefit. &#9989·A daily facial moisturizer made in South Korea, 100ml/3.38 fl.oz. Infuses the skin with hydration and retains it throughout the day. &#9989·It quickly softens the look of fine lines and wrinkles while gently soothing and healing sun and acne damaged skin. Contains sodium hyaluronate which is smaller than hyaluronic acid and is able to move more freely into the deeper layers of the skin. This is an advantage since sodium hyaluronate is a powerful humectant that attracts and holds on to water, making it the ultimate skin moisturizer by itself. It helps to hydrate and keep skin moist.